E$Planner Basic is the best free retirement calculator we could find. Why? It does things none of the other free retirement calculators do, and it ranks high on our retirement calculator scorecard in all three categories of accuracy, usability, and education. New Retirement is a website that seeks to be an online, complete retirement planning solution. Users create a profile, enter a ton of personal financial data and goals, and they can explore the results. The program gives results in a goals-based format, using a timeline to determine how far off you are from retiring when you want. It also provides in-depth analysis, potential next steps, and educational material, and it's meant to be revisited regularly by users. The AARP Retirement Income Calculator estimates how much you're projected to have by a target retirement date and estimates the minimum amount you'll likely need. It shows results in terms of yearly cash flow streams. The MarketWatch Retirement Calculator is a multi-sectioned tool that tells you if you can afford to retire at the desired age. Although it appears condensed at first, after a trial it appears to be very versatile. You can enter spousal information, different types of retirement income like Social Security, and itemized retirement accounts and expenses. With the T.Rowe Price Retirement Income Calculator, you input income sources such as Social Security and pensions, as well as asset values, and it projects the likelihood that your plan is sustainable through life expectancy. 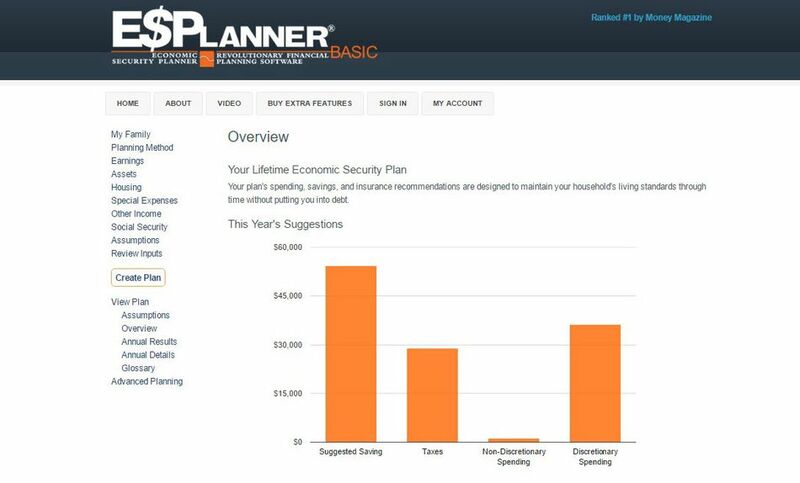 It also provides suggestions (such as reduced spending) to make your plan sustainable. With the Schwab Retirement Savings Calculator, you input income sources such as Social Security and pensions, as well as asset values, and it projects the likelihood that your plan is sustainable through life expectancy and provides suggestions (such as reduced spending) to make your plan sustainable. With the Vanguard Retirement Income Calculator, you input income sources such as Social Security and pensions, as well as values for savings and investments, and it projects the monthly income you will have versus what you will need in retirement. It calculates what you will need by asking you what percentage of your current income you expect you will need in retirement. With the Bankrate Retirement Income Calculator, you input savings, estimate your rate of return and tax rate, your age, and the number of years you think you'll spend in retirement, as well as inflation. It projects your monthly income from your savings in retirement before and after inflation and taxes. It also reports when you will run out of savings, and provides a yearly cash-flow analysis.